VICTORIA, BC – The Canadian Sport Institute Pacific (CSI Pacific) is into final preparations for the 2016 International Coaching School, hosted by CSI Pacific in partnership with the Pacific Institute for Sport Excellence (PISE) and ViaSport. The event will take place in Victoria, B.C. from May 28 to June 4. Only 10 days away, CSI Pacific’s International Coaching School will take place at PISE, located at 4371 Interurban Road on the Camosun College Interurban Campus. Courses and sessions will be facilitated by professionals with coaching, managerial, and training backgrounds at local, provincial, national, and international levels. Facilitators include those from CSI Pacific, the Canadian Olympic Committee, the Centre for Sport and Exercise Education at Camosun, the Coaching Association of Canada, Douglas College, One Smart World, and Royal Roads University. The International Coaching School provides coaches with two different opportunities to become world-class leaders through two streams: the Sport Performance Coaching Certificate (SPCC) and the High Performance Coach Advance (HPCA). The SPCC is directed at coaches working with a range of developmental athletes, predominantly at the ‘Train to Compete’ stage of the Long-Term Athlete Development (LTAD). It features all Multi-Sport NCCP Competition-Development Theory modules that provide a ‘next step’ for those looking to enhance their coaching expertise with a focus on building and supporting the developing athlete. The SPCC stream takes place over six days, from Saturday, May 28 to Thursday, June 2, and covers eight courses. The HPCA is geared toward Varsity, Provincial, National, and Advanced Coaching Diploma (NCI) alumni coaches working with athletes in the ‘Training to Train through to the Training to Win stages of the LTAD. The HPCA runs from Friday, June 3 to Saturday, June 4 and consists of seven sessions. 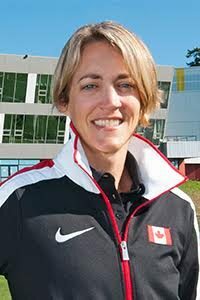 Visit http://www.csipacific.ca/coaches/ics/ics-overview/ for registration and additional information on the International Coaching School.